Last night was one of the wildest and crazy nights I can remember in a long time. It started off being Fat Tuesday which is wild enough. Then add to that Super Tuesday in the primary elections. Within that you had Mike Huckabee digging in to make it a three man race again. Not long after the polls closed word started leaking out about a potentional and now probably trade involving Shaq and Shawn Marion. Oh, to top all of that, 6 hours of Tornado Warnings in Kentucky, in February. You add all of that up and we had one wild Tuesday night. 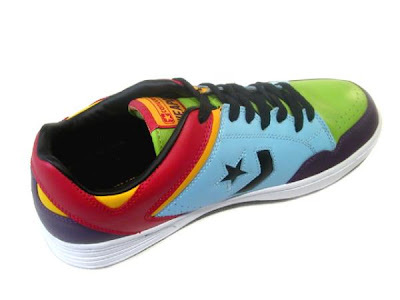 So to keep with the recent theme, today I offer to you one wild pair of Converse Weapons. 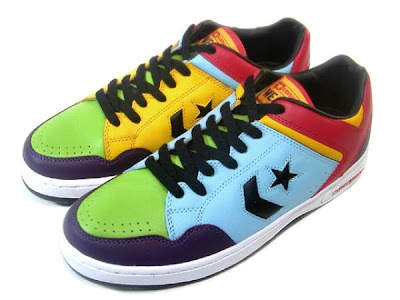 These came out a year or so ago in China or Japan. They never made it over here and that's probably for the best. I am just saying, they're out there. Hope today is a little more normal. 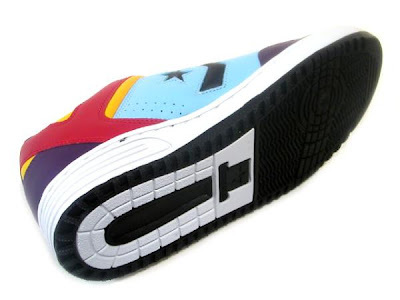 Thanks for checking out The Converse Blog.